The second in a random series on experiences and conversations in my journalism career. All the people involved were spoken to face-to-face in interviews but some extra material by way of background may have been added to round out the experience, especially when looking back a considerable number of years. Sometimes luck reveals itself in strange ways. It was the practice at The Evening Post in Wellington for the books editor to place in a large box all of the books he didn't think were worthy of a review in the esteemed newspaper. Any half-respecting bibliophile couldn't but help poke their nose in the box at least once a week (well, people did read books in the late-1980s). 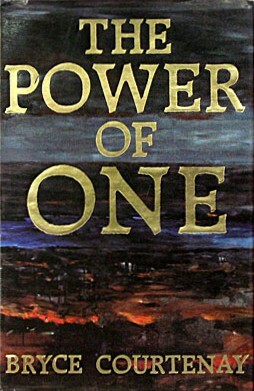 On one such occasion there, sitting looking back at the observer, was a book titled "The Power of One". It didn't have one of the great covers, but picking it up revealed it was about a young South African orphan who had to grow up tough and who used boxing as his means of defence. It struck a chord and so it was taken home and soon revealed itself as a first-class read. It had many fine strands and one little story stuck in the mind, and has remained there whenever the notion of luck is applied. It was provided via a character in the book, a professor, whose use of absoloodle to every positive response was another memory. Courtenay related the story of the impoverished Russian Jew who one morning while making his breakfast toast had the misfortune to drop it on the floor during the spreading process. But to his disbelief the toast landed butter side up. How could this happen? He was a poor Jew, this sort of thing did not happen to people like him. Luck was not part of his vocabulary. He took the situation to his rabbi and the rabbi agreed that this was indeed an amazing situation. He had no answer but would take it to his superiors. They heard the case and were also intrigued and at a loss for an explanation. But after much deliberation they arrived at an answer. The poor Jew was called to hear their finding and he was told that it was the collective belief of the assembled brainpower that there could only be one answer. It was that he had clearly buttered the wrong side of the toast! Picking up The Power of One was like finding your toast had fallen butter side up. Once completing the book the afore-mentioned book editor was appraised of his unworthiness for the role and how could he dare to put such a book in the remainders box? Not only was the book a thrilling read, it also contained some of the finest boxing description it would be possible to read. Some months later, the book editor recalled the discussion and said that the writer of the book concerned was returning to Wellington to promote the paperback version of the book and would be available for an interview. Would there be any interest in that? he asked. There most certainly would, he was told, and the booking was made for an interview. 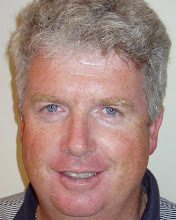 When introductions had been duly completed, Courtenay was informed that he was being interviewed by a sports writer who had been intrigued by the quality of the boxing writing in the book. He said that shouldn't be too much of a surprise, he had fought 150 amateur bouts, and just out of interest Sports Illustrated had agreed with the sentiment about the boxing writing. In the same interview he was asked what future projects he might have in mind. Courtenay explained that he had recently been in Tasmania doing some research on his then wife's family, Solomons by name, and in a little church he had left a note in the registry book that if anyone should have any information on the Solomons, and especially a gentleman by the name of Ikey Solomon, they should contact Courtenay at the phone number attached. Some time later at home in the evening, the phone rang and it was someone with some information who had seen his note at the church. Courtenay related that the person had asked him: "You do know who Ikey Solomon was?" Courtenay replied that he didn't. His caller informed him that Solomon was the model that Charles Dickens used for his great character in Oliver Twist, Fagin. The book he would next write would be about Ikey Solomon's life. Without saying too much more it is now known as The Potato Factory, the first part of a trilogy which included Tommo and Hawk and ended with Solomon's Song. Writing follow-up stories was part of the early Courtenay approach as Tandia followed the story of his original The Power of One. Further interviews with Courtenay followed in later years. One moving discussion was when he was promoting the paperback version of April Fool's Day, the story of his son's battle with transfusion acquired AIDS. Another was when he was promoting Tommo and Hawk, the occasion when he courteously signed that earlier first edition copy of The Power of One. "Did you know," he asked, "that this is very valuable?" The hardback version had been a disaster, he said and it didn't take off until issued in paperback. There were not many hardbook copies around. Try and find one in a second hand sale – it's hard work. Courtenay never claimed to be anything more than a storyteller, something that didn't seem to sit with more highbrow writers who may have written more stylishly but who sold nothing like the numbers of books that Courtenay did. "I just sit down and start yakking on paper or into a word processor," he said. Courtenay believed in the need for storytelling and the benefits it had for literacy. "Literacy is the biggest single problem facing Western culture. As soon as language evolved, imagination evolved and imagination can only work at its optimum in a literate people. "Without literacy we are less able to cope with the environment we live in," he said. Courtenay, who had a career in advertising, during which time he was responsible for the creation of the Milky Bar Kid, related that he used to immerse himself in his novels. When writing The Potato Factory he often had to shower after each composition session because he felt all the filth of inner-city London in the days of the Industrial Revolution sticking to his skin while he could smell the foul odours associated with the conditions so well did he imagine his surroundings. He was the ultimate story teller and it is sad that the pen has been stilled so swiftly. He will be sorely missed by his legion of fans.